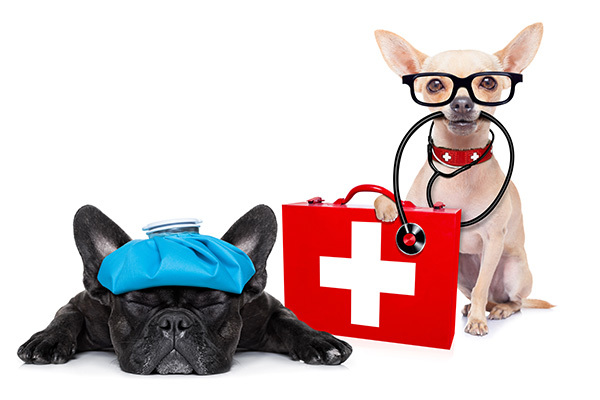 Putting together a well-provisioned first aid kit will make you more ready to deal with a medical emergency if one confronts you for your dog, cat or other pet. Have this kit in the house and fully stocked with supplies at all times, next to the first aid kit for your family. Many of the items in a family first aid kit can be used for pets, too. Milk of magnesia / Activated charcoal: To absorb poison; Always contact your veterinarian or local poison control center before inducing vomiting or treating an animal for poison. Hydrogen peroxide (3%): To induce vomiting; Always contact your veterinarian or local poison control center before inducing vomiting or treating an animal for poison. Digital Thermometer (you will need a "fever" thermometer because the temperature scale of regular thermometers doesn't go high enough for pets): To check your pet's temperature. Do not insert a thermometer in your pet's mouth—the temperature must be taken rectally. Muzzle (in an emergency a rope, necktie, soft cloth, nylon stocking, small towel may be used): To cover your pet's head. If your pet is vomiting, do not muzzle it! Stretcher (in an emergency a door, board, blanket or floor mat may be used): To stabilize the injured animal and prevent further injury during transport. More lifesaving information is available on the Red Cross Pet First Aid App that helps dog and cat owners to provide emergency care until veterinary assistance is available. 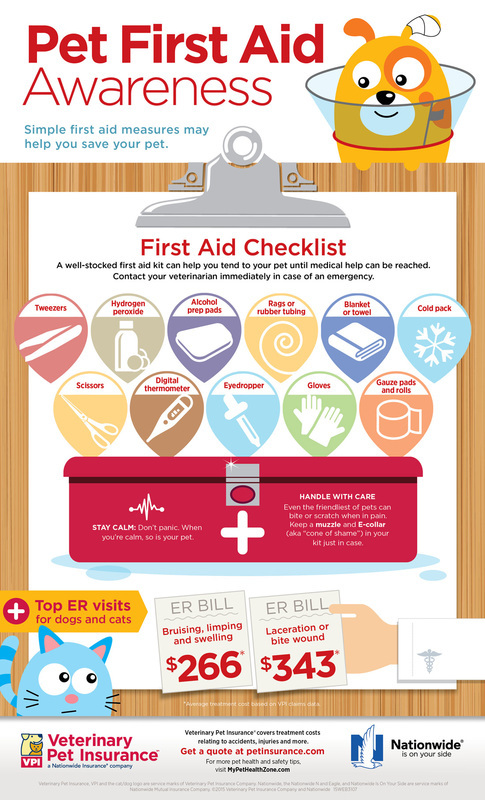 Owners have access to step-by-step instructions, videos and images for more than 25 common first aid emergencies.